Dr. Eric Maisel is the author of more than 50 books. His interests include creativity, the creative life, and the profession of creativity coaching, which he founded; issues of life purpose and meaning; mental health and critical psychology (also known as critical psychiatry and anti-psychiatry); and parenting in a “mental disorder” age. Dr. Maisel’s most recent books include Unleashing the Artist Within (Dover, 2019), Helping Parents of Diagnosed, Distressed and Different Children (Routledge, 2019), A Writer’s Paris (Dover reprint, 2019), Helping Survivors of Authoritarian Parents, Siblings and Partners (Routledge, 2018), Ten Zen Seconds (Dover reprint, 2018), 60 Innovative Cognitive Strategies for the Bright, The Sensitive and the Creative (Routledge, 2018) and The Magic of Sleep Thinking (Dover reprint, 2018). 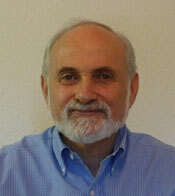 Please see our Publications section for more information on Dr. Maisel’s books. Dr. Maisel writes the “Rethinking Mental Health” blog for Psychology Today and is a regular contributor to Mad in America, where he founded and edited its parent resources section. Among his favorite things are leading Deep Writing workshops around the world (in places like Paris, London, Rome, Dublin, Prague, New York and San Francisco), working with individual creativity coaching clients, and producing interesting and useful programs (like his Life Purpose Boot Camp Self-Paced Instructor Training). Dr. Maisel divides his time between Walnut Creek, California, where he lives, and Belmont, California, where he babysits his grandkids a lot. To contact Dr. Maisel, please use our contact form.